Polyvinyl chloride or PVC has evolved over the years to become a much more efficient, durable and affordable material. PVC is the material that is used for doors and windows, as it is ‘unplastisized’ making the material much more rigid due to vinyl being the most predominant material, also providing highly efficient insulation properties to housing. 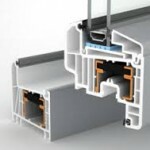 Currently PVC is becoming more popular as an alternative material to aluminium for durable window and door frames, due to both having similar characteristics. Both materials require very little maintenance and cleaning, their non-corrosive properties make life much easier and both are highly weather resistant. Although they are not bio-degradable, Aluminium as well as PVC are recyclable, so they can be reshaped into different products, using up less valuable resources and therefore helping to improve the environment. The main advantages of PVC compared to aluminium are its thermal and acoustic insulation properties. PVC is not a conductor of temperature, so when PVC is used for windows and doors, we can reduce the flow of temperature transmission, making the interior temperature of our home more stable. If we then combine it with double glazed glass, we will considerably reduce the loss of energy, improving the efficiency of our home, thus reducing energy bills as well as our carbon footprint. With regards to soundproofing, PVC can reduce noise pollution by around 70% if combined with double glazing, which is why PVC is perfect for acoustic insulation for private houses. External disturbances such as traffic noise can be reduced, allowing us to relax and be at ease in our homes. Another major factor that we can emphasis from PVC is that it is not affected by oxidization from salty air, persistent sun or extreme weathers, making it the perfect choice for coastal properties. PVC products can be provided in a range of different styles and finishes, as well as combined with the latest opening and locking systems. 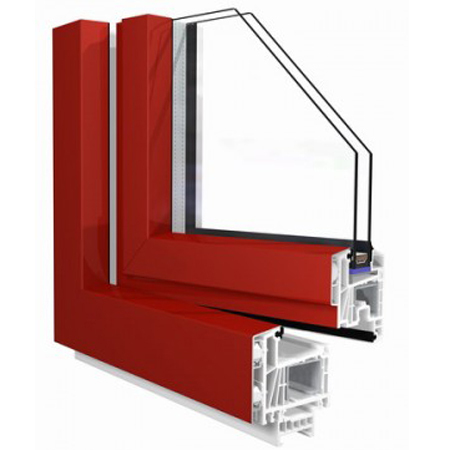 Within our PVC product range you will be able to find PVC windows with bi-directional opening systems, as well as PVC windows and doors with multi-point central locking systems for added security. 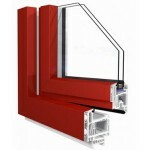 When we consider price, aluminium is usually cheaper to buy than PVC, but as we have previously discussed, the energy savings that can be accrued from PVC windows and doors means that with PVC you will start to save money within a short space of time compared to other materials.